Peel mango and banana. Slice mango off the pit and cut banana into chunks. 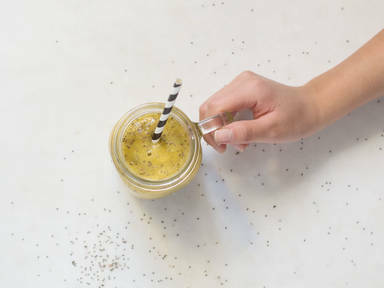 Add mango, banana, ice cubes, water, and chia seeds to blender. Blend all of the ingredients on high speed for approx. 2 – 3 min. until smooth.